Scientists running a trawling net in waters off the resort of Portimão, Portugal netted a creature that dates back 80 million years ago. 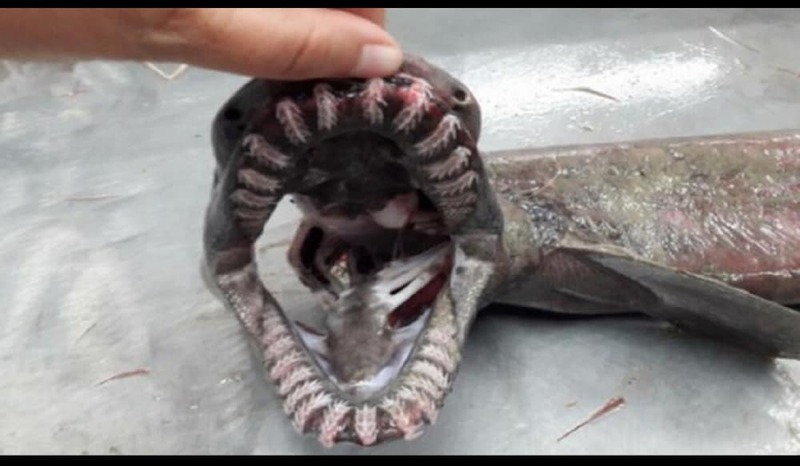 According to BBC News, the researchers working for the Institute for the Sea and Atmosphere called it a “living fossil” because remains have been found that date back 80 million years. You call yourself a diehard angler? Wait until you hear about this guy who, on his deathbed, told his best friends to use his ashes as bait. A trio of best friends had plans set in place to go on a fishing trip to Thailand, until one of them, Ron Hopper, 64, tragically died of cancer. The two friends, grieving the loss of their fishing buddy, decided to go on the fishing trip, and honor their late friend by granting his dying wish. Paul Fairbass and Cliff Dale, both 65, traveled to Thailand together with one goal: catch a monster carp using their dead friend as bait. According to The Express, the idea was born just a few days before Mr. Hopper passed. 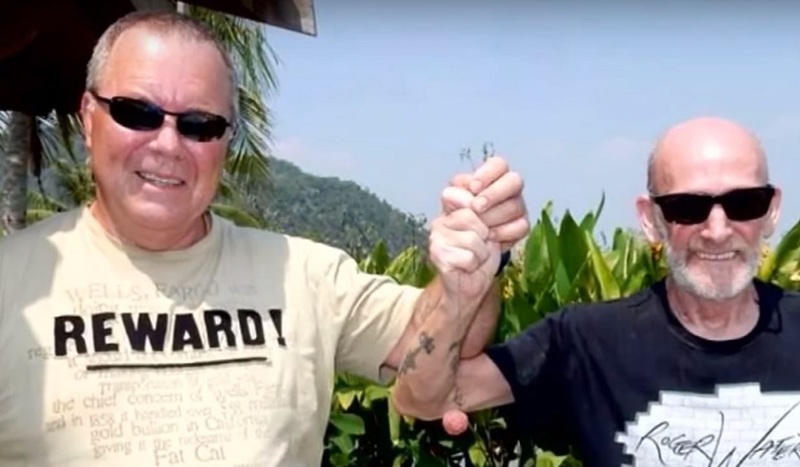 Mr. Fairbrass was apparently visiting Hopper in the hospital, when he requested that his fishing buddies go to Thailand and scatter his ashes around the lake they previously visited for another fishing trip. “I told him we would do one better that that, and turn him into boilies (a special bait mix used to attract fish) and catch a big fish with them,” Fairbrass stated. “He just cracked up and said it was a brilliant idea,” he continued. 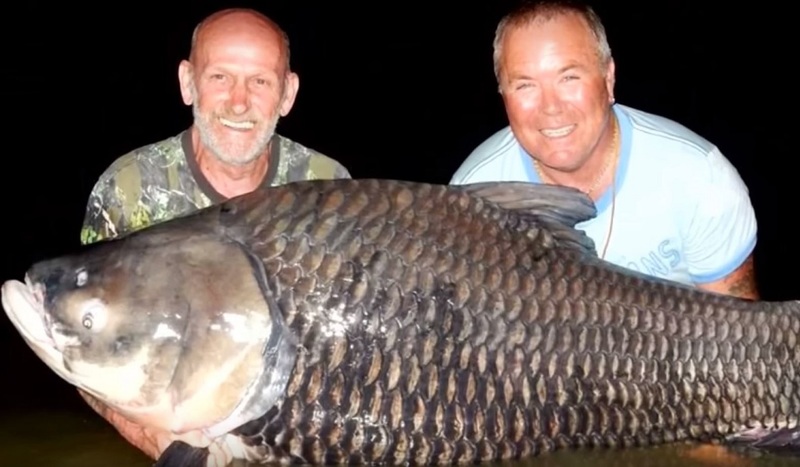 The unusual blend worked pretty well, however, as the two anglers landed a whopping 180-pound Siamese carp – one of the largest species of carp in the world. We hear a lot of stories come from the outdoors, but this was definitely one of the most bizarre we’ve heard in a long time. We give these anglers two thumbs up for honoring their best friend in such a cool way. What are real friends for anyway? 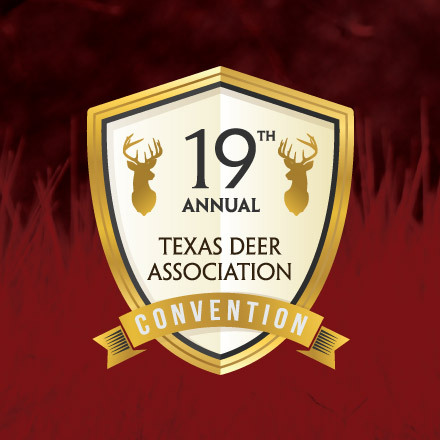 AUSTIN, TEXAS—The Texas deer industry is alive and well, as evidenced by the incredible turnout and record-breaking deer sales during the 19th annual Texas Deer Association Convention! After experiencing two of the toughest years ever faced by the industry, this year’s convention proved that the industry is in the midst of a tremendous rebound. The annual convention is the hallmark event of the year for TDA and its membership. Each convention is carefully planned to include a balance of education, information, fun and fellowship, while offering access to exhibits offering high-quality products and services. Ours is the biggest deer show in the nation, and it is our utmost goal to make it an enjoyable and informative event for all deer enthusiasts. This year’s event led off with the meeting of the National Cervid Congress on Thursday morning, bringing together representatives of the various associations across the nation to discuss issues affecting the deer industry. After that, a panel discussion on “Wildlife, Biology & Breeding” informed members about the latest trends and topics in the deer management world. After the kickoff lunch and Executive Director’s address, participants could enjoy the exhibits in the hall until the afternoon seminars begin. We were thrilled to have Mike Robinson, highly-regarded UK game chef, presenting deer butchering tips and cooking prep ideas. Also enjoyed by members was the MLDP seminar and the legal update. 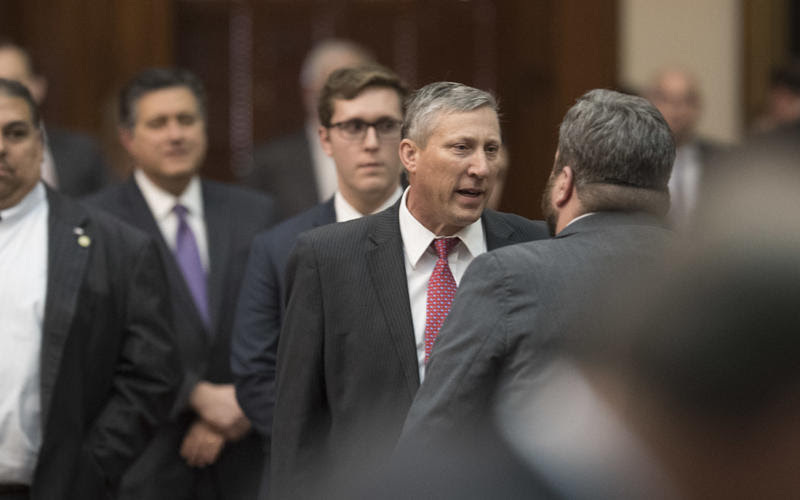 The first-ever legislative panel was hosted with dinner Thursday evening, featuring a candid discussion with Senator Craig Estes and Representatives Ernest Bailes, John Frullo, Larry Gonzales, Lance Gooden and Lyle Larson. We appreciate their participation and the update on the 85th Legislative Session. The evening closed with the auction benefitting the legal fund, which raised more than $55,000 to aide in our battle for the right to ownership for our deer. Friday morning opened with the annual state-wide membership meeting, which saw record attendance. We were also pleased to offer a Family Hunter Safety Certification class sponsored by Texas Parks & Wildlife that day to benefit our TDA families! The “Make Deer Breeding Great Again” seminar was a tremendous success, providing a look at innovative industry tools to keep deer operations on the cutting-edge in technology and organization. The featured speaker at the luncheon was Texas Comptroller Glenn Hegar, who presented on the growth in the Texas economy and industry predictions for the future. TDA was also proud to host a Continuing Education Veterinarian Seminar this year for all our member vets. Leading the way to assist veterinarians in understanding the complexities of practicing cervid medicine, TDA teamed up with the Texas Veterinary Medical Association (TVMA) Cervid Committee to bring representatives from the Texas State Board of Veterinary Medical Examiners, the Drug Enforcement Agency, the Texas Pharmacy Board, TVMA, and the U.S. Department of Agriculture. This event was a tremendous success and one that we hope to repeat in the future. Friday’s highlight was, of course, the Superior Genetics Deer Auction, which brought in a record amount–more than $820,000. Featuring some of the very best genetics in the nation, this event exceeded all expectations in scope and sales. The evening closed with the Hoffpauir Group/TDA Ultimate Sportsman’s Auction and Raffle, where more than $200,000 was raised! Saturday began with exclusive exhibitor time followed by a solid slate of morning speakers, including Kerry Davis, Founder of Dark Angel Medical, and Texas Agricultural Commissioner Sid Miller. The TDA Select and Platinum Sale was the focal point of the day and did not disappoint. Raising a combined total of more than $1.3 million, this auction blew the top off last year’s earnings. The success of TDA and our annual convention depends on all of you—our guests, our members, our vendors, our sponsors, and our volunteers. You have made this association who we are today. Through difficult times, our TDA family has remained strong and unshaken! We are thousands of members strong, all across the great state of Texas and beyond, and we will continue to grow. It is time to be excited about the future of the deer industry in Texas again! Thanks to all those who attended our 19th annual Convention, and for your continued support of your Texas Deer Association. 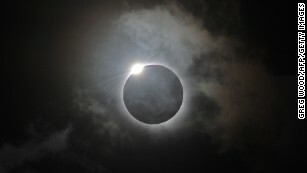 For complete coverage of the Eclipse of the Century go to cnn.com/eclipse. 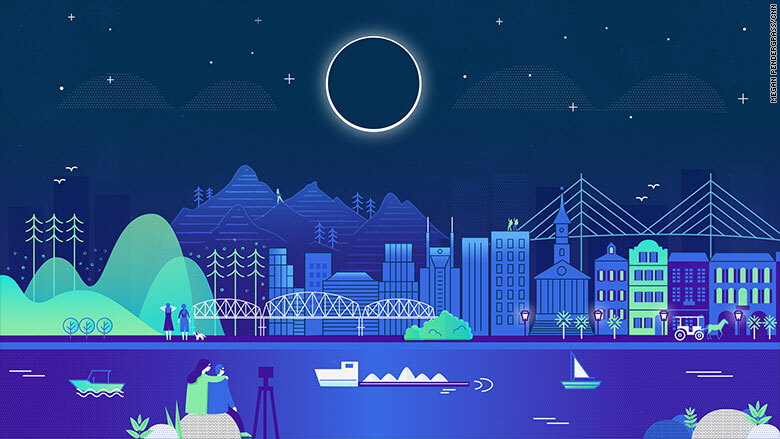 Watch live, in virtual reality, as the eclipse moves coast to coast Monday. (CNN) It’s not fake news; it’s good news. It’s a story that could eclipse all other stories. 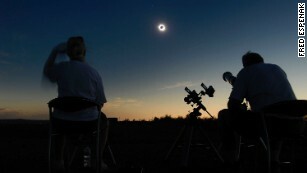 What will the weather be for solar eclipse? 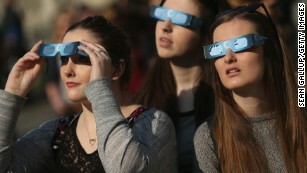 People look into the sky near the Brandenburg Gate in Berlin, Germany. CNN’s Brandon Miller, Dave Hennen, Ashley Strickland and Amanda Barnett contributed to this report. WLB Back to School Special! Enter your name for a chance to win a FREE BANNER for 1 YEAR! Don’t miss your chance to win a Free 1 Year Banner Ad! We reach thousands of potential buyers each day. All you have to do is call the office by August 24th, 2017 and request your name be entered into the drawing. On Monday August 28th the winner will be announced! Today we have around 20 auctions closing right after lunch! Click this link to take you to the auctions. A Florida woman has made headlines after she drunkenly bit a man’s fishing line and then swam off with his lure, according to police reports. According to Action News Jax, St. Johns County deputies were called to the scene on St Johns County Pier, where a fisherman told them 22-year-old Alexandria Turner swam up to his fishing line, cursed him out, then bit the line and swam off with his whole rig. Seriously, you can’t make this up . . . Apparently, when deputies arrived and asked Turner to walk to shore, she became belligerent and wouldn’t comply with the officers. 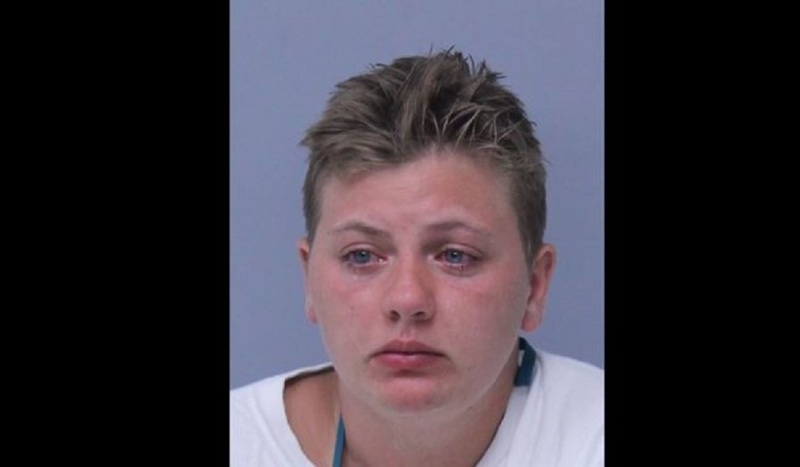 Deputies finally got her to shore, and after a brief struggle in the surf, arrested her on suspicion of disorderly intoxication and resisting arrest without violence. Now, we’ve seen our share of coo-coo antis before, but this lady may have just taken the bait – pun totally intended. Are armadillos bulletproof? A freak accident in Texas has law enforcement asking that very question after a man shot one of the critters, only to have the bullet ricochet back and hit him in the face. KSAT reports that around 3 a.m., the man ran outside with his .38 revolver and opened fire. According to Reuters, Cass County Sheriff Larry Rowe said the man “shot at the armadillo three times.” At least one bullet hit the animal’s hard shell, deflected, then struck the man square in the jaw, Rowe stated. 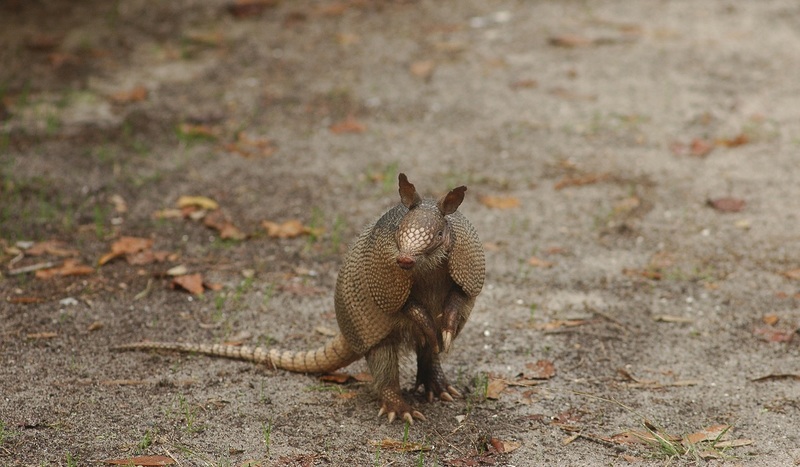 There have been no reports of anyone recovering the armadillo, so it’s status remains unknown. Hate killed a female hunter who was found dead after apparently committing suicide, and reports say death threats by animal rights activists may have led to her fatal decision. 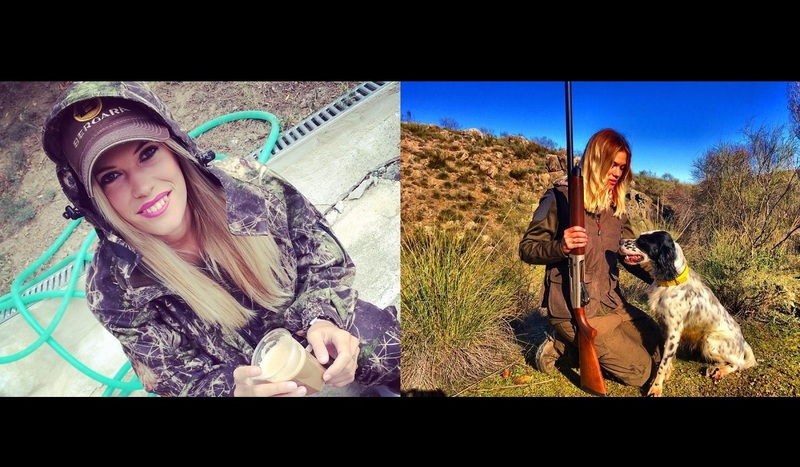 According to DailyMail, Melania Capitan, 27, had a prominent social media following for her outdoor/hunting lifestyle. As we see so often with hunters on social media, Melania received thousands of death threats and hate messages, mostly from animal rights activists – and we all know how extreme they can be. Even after her death, her Facebook page continued to be flurried with comments, apparently welcoming the news. “She was so bitter that she had to pay her hate killing innocent animals, thank God she killed herself, the only good thing she did lately,” one of the grotesque comments read. So we have to ask, when will this hate for hunters stop? Cover and allow to cool before using or pouring into the storage bottle. Dr. Grant Woods from Growing Deer TV is a frequent contributor to OutdoorHub, and he recently shared this amazing video on his Facebook page. 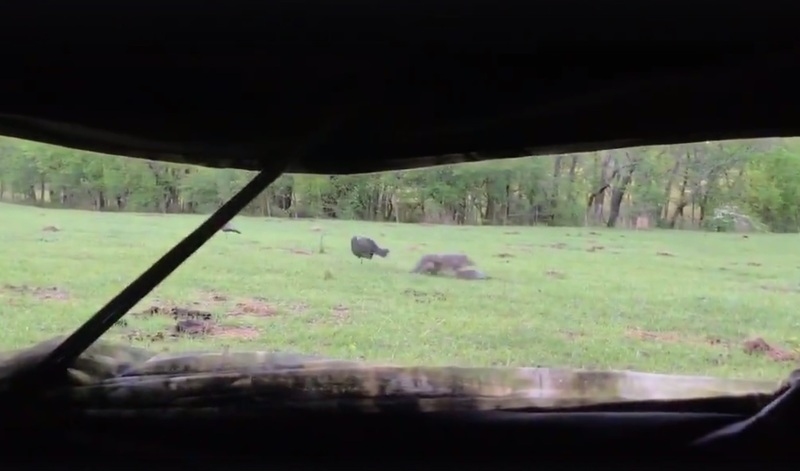 The clip was filmed by Oklahoma turkey hunter David Harris. Watch close and hit the play button a few times. The coyote runs between two standing hen decoys, then specifically targets the hen that has been placed in the breeding position below the tom decoy. After realizing that things aren’t what they seem, the coyote prances past another hen decoy, and it’s already glancing side-to-side looking for its next meal before disappearing into heavy cover. Very interesting! Thinking back on my own turkey hunting career, I’ve certainly seen plenty of coyotes, and I’ve had a few respond to my turkey calls, but they usually stop well short of shotgun or bow range. Unlike turkeys, coyotes have a keen sense of smell, and most often I think they detect ground scent left by our boots, human odor on our turkey decoys, or simply get downwind of us. After all, we usually don’t think about controlling human odor while turkey hunting. That said, I did shoot a coyote that was stalking my turkey decoys in Florida. I had yet to kill an Osceola turkey to complete my Grand Slam, and for a moment on my first morning in Florida, I had gobblers approaching in thick cover. But then they went silent. Moments later, I found out why. A mangy coyote suddenly appeared from the cover, and he slowly put the sneak on my dekes. When he finally stepped with 25 yards, I ended his day with a load of No. 5s. President Trump’s decision to be the first president in three decades to speak at the annual National Rifle Association convention is drawing heat from two anti-gun groups that now plan to travel to Atlanta to disrupt the massive event. 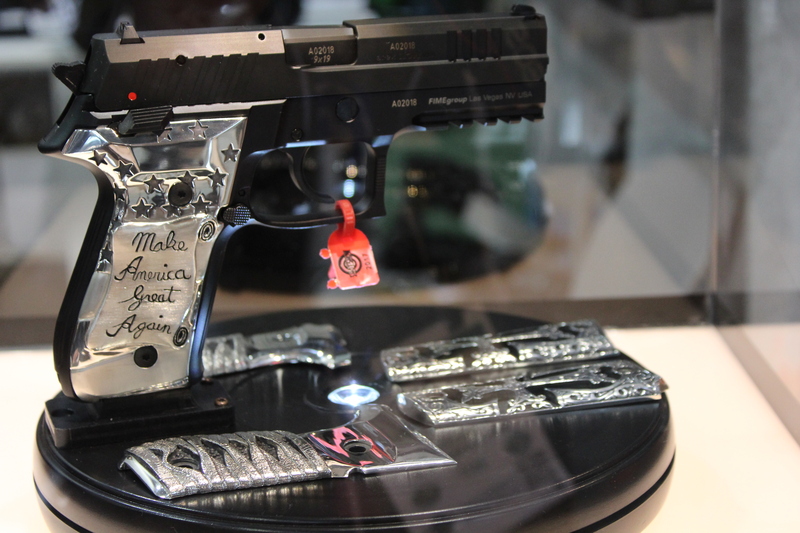 The 146th Annual NRA convention will be held April 27-30. 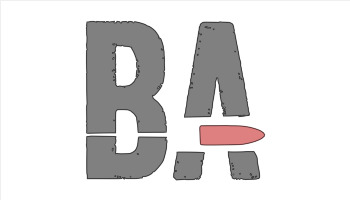 It is a combined trade show and public affairs convention where supporters of the Second Amendment typically speak. Last year, for example, several GOP presidential candidates including Trump spoke. The promises of Bloomberg’s bought-and-paid-for anti-gun vanity project is more than a little amusing. The tiny coffee klatchs Moms Demand/Everytown have been able to pull together “in opposition” to the NRA Annual meetings have been dismal failures, each and every one. This was the Moms Demand Action rally in 2014 in Indianapolis. Including journalists and Shannon Watts’ armed personal security detail, they drew precisely 156 people (myself included). The 2015 attempt to counter-protest the NRA Annual Meeting in Nashville was even more lame, numbering just 100-150 people (and I was being very generous with my crowd estimate). Many of the area restaurants had longer wait lists. 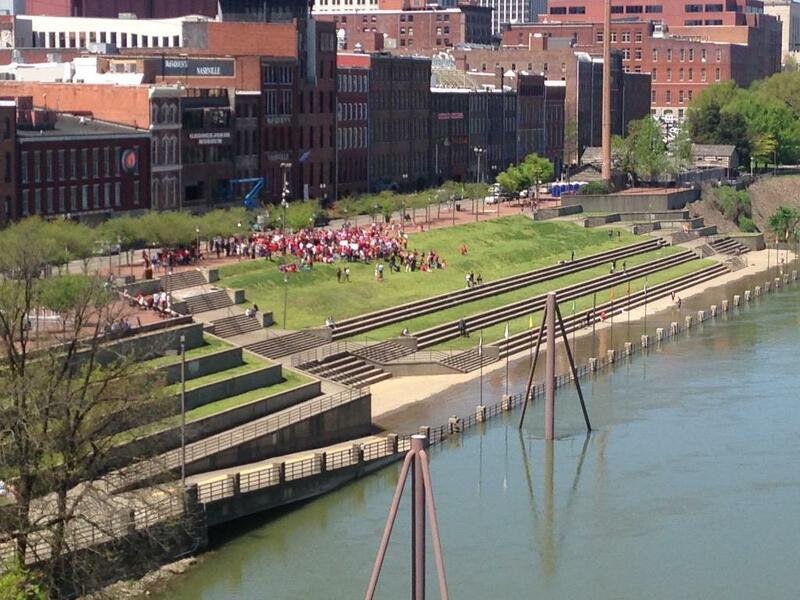 Last year in Louisville, Moms Demand/Everytown couldn’t be found… and I looked. 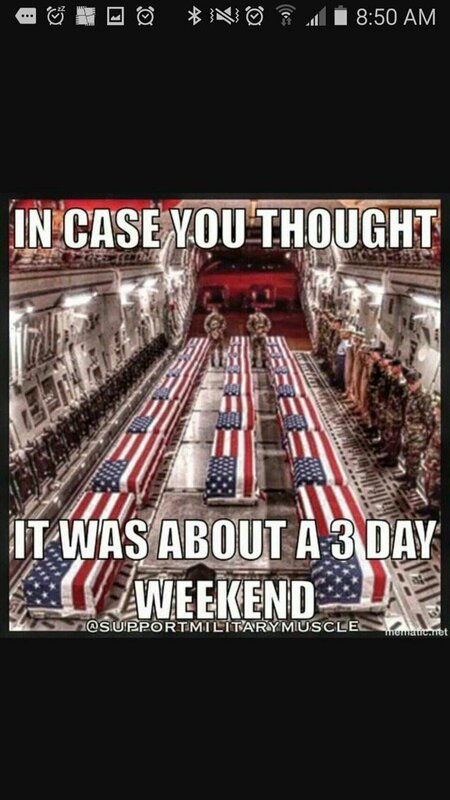 They managed just three dozen pathetic souls that even the local news media couldn’t fluff up into a respectable counter-protest. This year, Moms Demand/Everytown claims that they’re going to hold their counter-protest on Saturday, seven-tenths of a mile away from the NRA Annual Meetings. It’s not that anyone wants to “silence” you, Shannon Watts. It’s just that the nation has heard you busted in one lie after another for years now, and no one cares what you have to say. During fifteen hours of debate, the House rejected the tea party agenda. Latches and safety chains: Double check the latches and the safety chains and cables between the truck and trailer to make sure they are fastened securely. Make sure you are using a ball that is the correct size for the trailer. Trailer brakes: Inspect the breakaway cable or brake system. Manufacturers recommend that any trailer exceeding 1,000 lb. have its own brake system. Electric Wiring and Connections: Check to make sure that all the lights (brake light, turn signals, and tail lights) on both the truck and the trailer are working. Tires: Examine the tires for signs of dry rot, wear or damage, and make sure that all tires, including the spare and inside dual tires, have the correct air pressure. Trailer: Inspect the trailer floor to make sure it is sturdy and clean. If more traction is needed, install rubber matting. Consider replacing floorboards that are showing signs of wear or rot. Weight distribution: When using a bumper pull trailer, place the heaviest animals in the front of the axles. Load older and larger animals first, followed by younger and smaller animals. Visibility: Make sure animals can see you when you enter and exit the trailer. Squeeze and pinch points: Remain alert to the danger of being pinned between animals and trailer sides and being pinched by the trailer gate. Gates: Once the animals are loaded into the trailer, quickly close the gates and ensure they are secure. Protrusions: Inspect the trailer for broken or sharp objects protruding into the trailer. These items should be repaired immediately to prevent an injury to an animal or operator. When driving on any roadway, always maintain a safe speed, keep your headlights on, and stay alert. Your braking time increases when you are towing a full trailer, so maintain a safe distance from the vehicle in front of you and leave adequate room to stop. Plan your travel time carefully, and be aware that weather can cause delays by impacting road conditions and animal comfort. Do not lock the trailer when you are transporting animals. In the event of an emergency, rescue workers will be able to more quickly gain access to an unlocked trailer. For your animals’ safety, do not allow them to hang their heads out of the trailer, where they could be injured by flying objects. On February 22, 2017, Texas lost a legend of Texas letters. The inimitable Gary Cartwright, who died at 82, left an imprint on journalism that cannot be replicated. This week, we found some of our favorite Texas Monthly stories by Cartwright and asked the writers, editors, and staff whose lives he touched to share their remembrances. Human overpopulation is an animal rights issue as well as an environmental issue and a human rights issue. Human activities, including mining, transportation, pollution, agriculture, development, and logging, take habitat away from wild animals as well as kill animals directly. These activities also contribute to climate change, which threatens even the most remote wild habitats on this planet and our own survival. We, the entire deer breeding community along with the friends and family of Terry and Pam Bailey have suffered a tragic loss with their passing. Our sadness and shock cannot be put into words as our hearts grieve. The kindness and sincerity of both was unparalleled and their absence will leave an irreplaceable void. Please keep James Butler and the entire High Roller and Venado Creek Whitetail family in your thoughts and prayers. 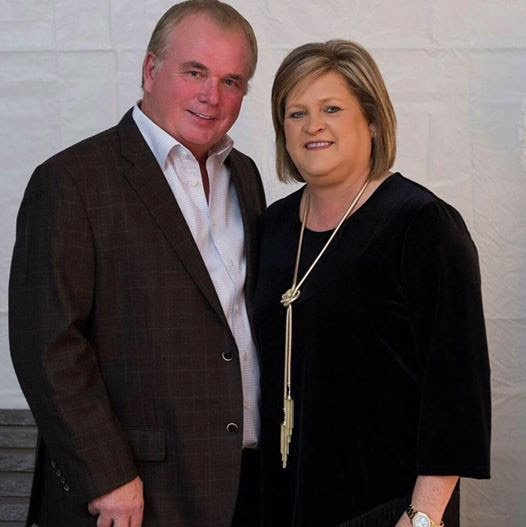 We ask the deer breeding community nationwide and anyone who would like to join us, to stand in remembrance at 12:00 P.M. CST Friday, February 17th, for a moment of prayer for the friends and family of Terry and Pam. May God give peace and comfort to us all. “Make America great again” is a phrase that everyone is familiar with now, but we haven’t seen it on many guns yet. 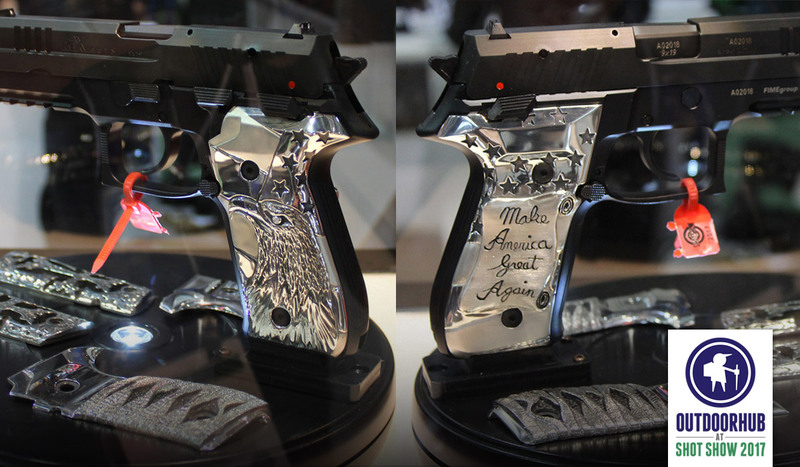 This custom Arex Rex Zero 1S was presented to Donald Trump and Mike Pence as part of the inauguration festivities. 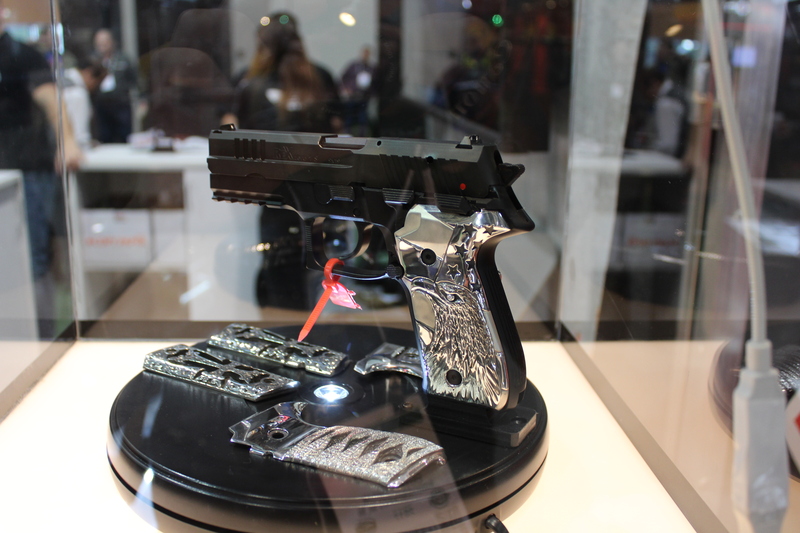 The grips are hand engraved sterling silver. Tip: If temps are high, quarter or bone out your deer and age the meat in a refrigerator. If you shot a yearling buck or doe, process it now. These deer are tender by nature and don’t need as much hang time. Shorten the hang time if temps are on the high side (40s), as this makes both collagen breakdown and bacterial growth happen faster. Tip: You can process the cuts you plan to make into sausage or burger shortly after rigor mortis—even with older deer—as grinding effectively tenderizes the meat. This is the hang time many hunters prefer under ideal conditions—34 to 37 degrees. It’s just about right for middle-aged deer (21⁄2 to 31⁄2 years old) and adequate for many older deer. Tip: If temperatures temporarily spike, put a bag of ice in the chest cavity and wrap the carcass in a blanket or old sleeping bag. The older your deer, the more connective tissue in its muscles and the more it will benefit from extra days on the meat pole. If conditions are consistently good and you can keep a close eye on the meat, two weeks is not too long to hang an old buck. Tip: Ambient temps matter, but what counts most is the internal temperature of the meat. Use a digital meat thermometer regularly when you’re using longer hang times. The rate at which meat is tenderized as a result of aging falls off sharply after 14 days, so wrap it up. Tip: Like high temperatures, high humidity and moisture promotes bacterial growth. If you do not have a dry place to store the venison, don’t leave it hanging on the pole this long.